This lesson, we will work on creating and destroying. Sit down in a comfortable chair, feet flat on the floor, settle in, and relax. Take some deep breaths, and notice your breathing. 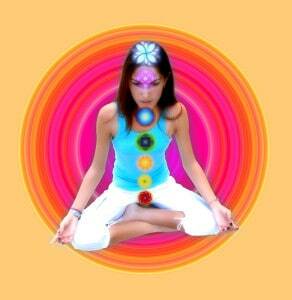 As you notice your breathing, become aware of your body, and notice your 1st chakra. Say hello to your 1st chakra, and find the center of the planet. Say hello to the center of the planet. Using your favorite image, create a grounding cord, between your 1st chakra and the center of the planet. As you ground your body, be aware of releasing energy. Now, notice your feet chakra, and the center of the planet, and bring up some earth energy. Get that earth energy started, through the feet chakras, up the leg channels, and back down your grounding. Notice what happens to your body, when you are grounded, and running earth energy. Now notice the top of your head, your crown chakra, and reach out into the Universe for some cosmic energy, and bring that cosmic energy down into the back part of your crown chakra, and let that energy start to flow, down your back channels, and down into the 1st chakra. As that flow gets down to the 1st chakra, mix it with the earth energy, and bring that energy back up through the front channels, and let it fountain out through your head, out into your aura. Let it flow down through your arms, and out your hands. Take a deep breath, and bring your attention about 1 inch behind your eyes, to the center of your head. Now, out in front of you, get an image of a flower, a bubble, a miniature sun, or whatever you like. Notice the details of your image; notice the depth, the size, the texture, the smell. Let this image represent you, and set this image out in front of you, at the edge of your aura. Let this image create a separation between you, and the energy around you. Now, send a hello into the center of the planet, and look deep within the planet for some Earth energy. It might be a color, an image, a vast underground lake, or a great, glowing underground pool of lava. Notice your body, take a deep breathe, and right in front of your forehead, picture another image, another flower, bubble, or miniature sun, getting a sense of it’s details, it’s depth, its size, its texture, its size. Take a moment to really feel it. Take a deep breath, notice yourself in the center of your head, and notice that the Earth energy keeps on flowing- once it starts, it automatically keeps flowing, like a siphon. Now, I want you to put a bomb under this image, and explode it, to release it. Yes, put a bomb under it, and blow it up, in order to release it. Notice what happens when you blow up that image. How does your body feel? Did the image completely disappear? If not, create another image, and collect up anything that remains, put another bomb under it, and explode it again. Take a deep breath, and create another image. Take a moment to really visualize and get a sense of it, feel it, and then, put a bomb under it, and explode it. Notice your grounding, and notice your body; what happens to your body when you create and destroy images? Take a deep breath, and notice the center of your head; has anything changed, as you create and destroy images? Picture another image, imagine it, sense the details, and explode it. Now, create a big, bright, beautiful golden sun of your own energy, and bring that down that warm energy through your crown chakra, filling your entire body. As we create and destroy images, we are releasing a lot of energy. Notice the center of your head again. Create another image, right in front of your forehead. Now, imagine that whatever is in the center of your head, besides you, is being released into that image. Any thoughts about work, your children, your friends, your spouse, or a problem, just allow it to go out, into that image. It is as if that image is a magnet, drawing out whatever is not you, right out of the center of your head, absorbing that energy. Now, put a bomb under it, and blow it up. Take a deep breath, breathe right into the center of your head, and own the center of your head. How does that feel, to release that energy, and blow it up? Imagine another gold sun above your head, bring it in, and fill yourself up. When you are full, take a deep breath, bend over, stretch up, and enjoy the feeling! We hope you have enjoyed this Meditation Session, and will reap the benefits! Download the video, PDF and MP3 instructional package, for Meditation Class Six. It is enhanced with sound therapy techniques to deepen your meditation experience. For more healing and transformational sound therapy, self hypnosis and subliminal programs on CD and MP3, please browse our website, or look for us on Amazon.com. Dr. Jane Ma’ati Smith C.Hyp. Msc.D.